Ever found yourself wishing you could just skip some assignments? Reading through Chapter 3 of Exodus and reading a recent post over at Denise’s and Sharon’s blog, triggered me to thinking about how we all have some assignments we would rather pass up. During an ordinary day of tending his father-in-law’s sheep. Moses sees an unusual occurrence-a burning bush that is not consumed. As he draws closer, the great I Am informs him that he has been hand selected to rescue the Israelites from Egyptian captivity. I am grateful for a God that is able to capture my attention even in the midst of the mundane tasks of life. Like any good person who has been unwittingly volunteered by another individual to do a job that has never been done before, Moses had plenty of reasons why he was unfit for the job. The litany of Moses excuses included being afraid of what other people would think, not being an eloquent speaker, and not being properly equipped for the assignment. 1. Who am I that I should be the one to do it? Surely there is someone else who can do it better than me. 3. What if people don’t like what I say or what I write? What I like about Moses’ story is that God was patient with him. He didn’t just ignore Moses’ concerns. Although He acknowledge his concerns, He did not acquit Moses from the intended assignment. Instead God reminded Moses that he was the creator. Like Moses, I can be consumed with me and totally lose sight of the fact that it’s not about me at all. I’m only the vessel that God chooses to use. Anything that I say or do that has impact on another is only because of the Him. Even with all my flaws, God counts me as usable. Now that is amazing! Indeed you are a vessel Kim! He’s already using you in ways to reach those around the world. Lord, Wanda, you’ve gone and done it now! lol! This is so true, spiritually and physically. I remember one time in grad school I put off one assignment because I thought I “deserved” some time-off. Who told me to do that?! The “make-up” was so painful, I never missed another assignment no matter what was going on. Truly, it pays to reflect on these interactions and conversations with God in Scripture. There are many facets to Moses, but the flow of your story reminded me of one of my other favorites, Gideon. Whenver I read his story, I always end up laughing and crying. God truly is amazing, especially when it comes to His assignments. LOL. Sounds like you learned a very valuable lesson about that deserved time off. God chooses to use the most unlikely candidates doesn’t he. A wonderful post Wanda excellently penned. I think God is trying to tell me something. He has been sending similar messages all week. Your post is challenging yet encouraging. Thank you for your insights. Blessings! God has a way of getting our attention. When I see a reoccurring theme, I know I need to really pay attention. My prayer is that you heed to His beckoning. I needed to read this today…thank you. My word for the year is Surrender. And I need to just surrender to all that God is calling me to do. Although we know surrender to God is what’s best for us, it can be difficult for us to relinquish our “perceived” control. Yes in a world that seeks flawlessness, God uses the foolish things to confound the wise. How could He consider me a vessel fit for His use. Oh Wanda, great post. You don’t know how much this is needed at this time. My job was just eliminated. 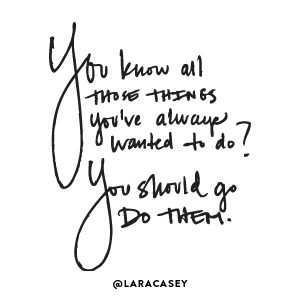 I really needed this reminder that I have the capability to do many things. Thank you! Hi Elizabeth, being thrust out into unknown territory can be scary but He can use what you have in so many ways that you could think. I love this view! We all are flawed, but we have to move forward and learn. Those who shine a bit brighter had to have their share of hard knocks. It is called life…. You make an excellent point Ella. Everyone has had their own share of things to overcome. Nice to meet you Wanda!! Hi Debbie, pleasure to meet you. Everything is clearer when looking at from that stand point. It really all boils down to a matter of trust. Do we trust Him enough to believe that if He has called us, He has also equipped us. and was told to let you know. Thanks Yvonne for letting me know. I’m trying out a new plugin to notify individuals when I have responded to their comments. Looks like I need to tinker with it a bit. Thanks! Wanda, I am so glad we have a patient Father. Blessings to you dear one.